Everybody knows it's not that difficult to find great street food in London. In Camden Town, for example, there is a variety of worldwide street food vendors that are quite popular between tourists and locals. Vietnamese, Chinese, Brazilian, Spanish food and etc., it's Babel of flavours. 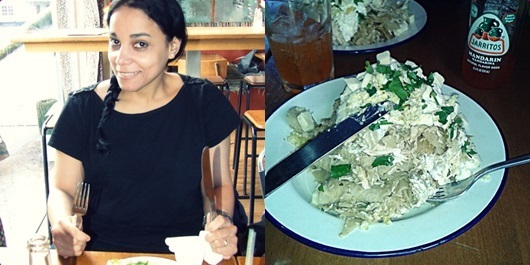 Representing Mexican food well indeed: Café Chula; a cute restaurant located in the middle of the Camden Market Place. It's an authentic and inviting Mexican cantina to start with. I really appreciate restaurants that portrait their country without extravaganza. Cafe Chula is straight to the point: great music, nice decoration and helpful staff around. The vibe is pretty good at the place and you feel like you need to tuck in some of their creative meals as soon as you check in. Yes, you probably will need help in the pronunciation of some food and drinks, but at least it's not a restaurant made just of burritos or tacos. That's the reason that Chilaquiles Verdes (tortilla chips, tomatillos salsa, shredded chicken, light cream and cheese) sounded pretty good to me as a main. I never heard about that meal before, but I was expecting a very generous portion. 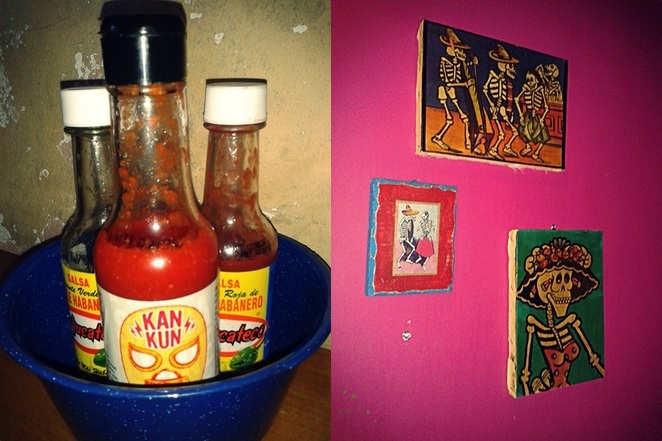 Mexican style! And I got what I expected, a huge portion. Some many layers of tortillas with what I thought were the whole chicken covering it all. Wonderful flavours coming from the combination of light cream with cheese, but I was defeated by the size of the portion. Maybe it's perfect for sharing. Or maybe I should skip breakfast next time I visit the place. It was too early for some tequilas and margaritas so I quite enjoyed my Jarritos. It's a refreshing pop and I would recommend trying the mandarin one. Good call for the summer days! 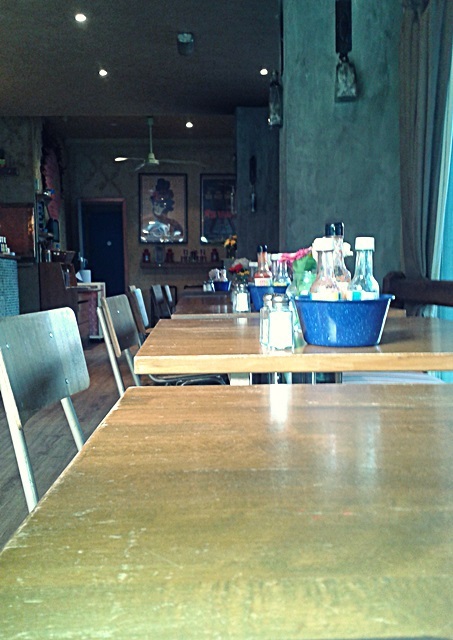 Tip: It's a small restaurant, so it might be necessary to book a table for diner. And if you do, make sure you choose the tables by the windows so you can view the happenings at the beautiful Regent's canal. I wish I could go back later for a proper cocktails session but I am quite happy with my first stop at this restaurant. Chula means something attractive and cute in Spanish, and Café Chula definitely lives up to its name.